America in the early 1900s was a nation in the midst of changes. The country was continuing to expand and add states. Transportation was evolving as Henry Ford introduced his Model T and the Wright brothers took their first flight. Geopolitical maneuvering ultimately resulted in the start of World War I.
Doug Mishler Chautauqua scholar Doug Mishler will portray Gen. John J. Pershing when Boulder City Chautauqua presents "Shapers of Modern America" on Sept. 15. 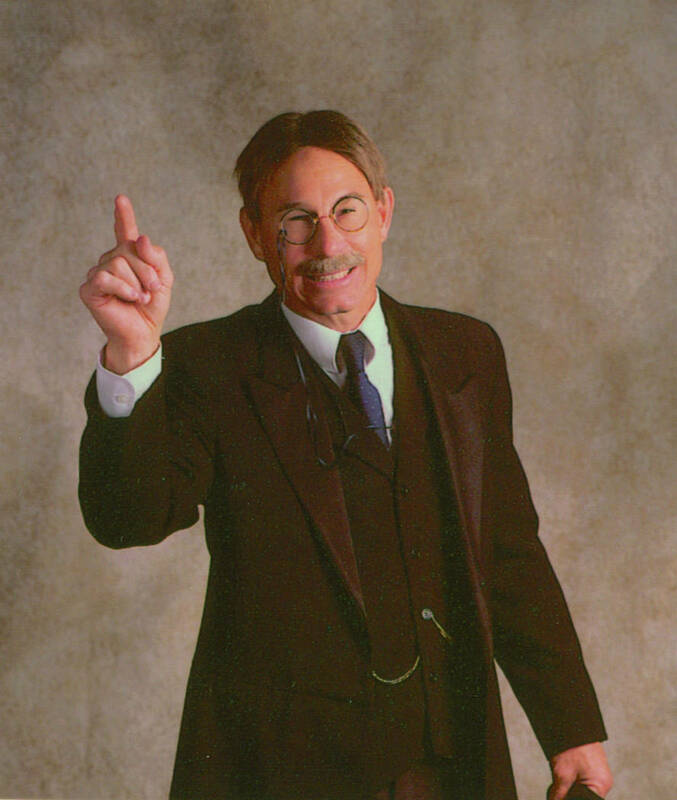 Doug Mishler Chautauqua scholar Doug Mishler will portray President Theodore Roosevelt when Boulder City Chautauqua presents "Shapers of Modern America" on Sept. 15. It was during these years that friends President Theodore Roosevelt and Gen. John J. Pershing made their marks. Area residents can learn more about the two historical figures when Boulder City Chautauqua presents “Shapers of Modern America” on Sept. 15 at the historic Boulder Theatre. Chautauqua scholar Doug Mishler will bring both men to life, Pershing at 1:30 p.m. and Roosevelt at 6:30 p.m.
Mishler said through Pershing and Roosevelt he will talk about World War I and what it meant to American society and culture, as well as how it changed the nation and introduced modern developments. Pershing offers “quite a view of World War I from a military standpoint, with a little bit of politics. Theodore will talk more about the (war’s) context and American involvement in that,” Mishler said. The challenge in presenting Pershing’s life was getting into his military mindset, Mishler said. 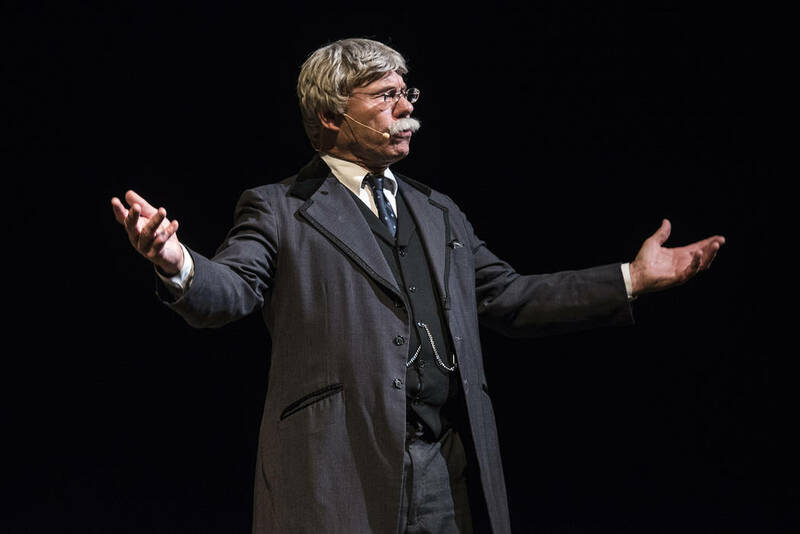 He has been portraying Pershing for about two years. Roosevelt, on the other hand, is like a second skin to him. “I do him so much he has become so much a part of my character, personally, as well,” he said. Mishler said Roosevelt — or Theodore, as he calls him — was his second character, though it took him a couple of years to get ready because he’s so complex. Mishler called Roosevelt, the nation’s 26th president, a mythical figure in American history. One of the stories Mishler will bring to light is a fight Roosevelt had with Woodrow Wilson, whom he ran against in the 1912 presidential election. Mishler is a frequent visitor to Boulder City, having portrayed journalist Ernie Pyle last year. In 2015, he appeared as both P.T. Barnum and Jack Warner, and the year before he portrayed Henry Ford. Sara Weber, who serves on the local Chautauqua’s board, said Mishler is good at what he does and enthralls his audiences, which is one of the reasons the group continues to bring him back. She said the group hopes his performance as Theodore Roosevelt will attract a larger audience to the evening event. Michael Green, an associate professor of history at UNLV, will serve as moderator, while Charlie Shaffer will provide a musical prelude on piano. Tickets are $15 per performance. They can be purchased by sending a check or money order to Boulder City Chautauqua, P.O. Box 61994, Boulder City, NV 89006, or by visiting Ace Hardware, 541 Nevada Way; Boulder Dam Hotel, 1305 Arizona St.; or the Boulder City Chamber of Commerce, 465 Nevada Way. Advance purchase is recommended. For additional information, call 702-293-7853 or visit www.bcchautauqua.org. Where: Boulder Theatre, 1225 Arizona St.